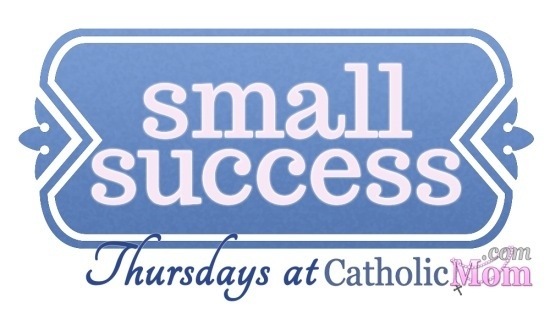 Welcome to Small Success Thursday, hosted by the lovely ladies at CatholicMom.com! Let’s take a look back at the last week and see where our successes lie, even if they’re things you think are insignificant. After all, it’s not the size that counts here! My week is sort of speeding by! Over the next week we will have regional soccer playoffs (today and tomorrow), dance rehearsals (tomorrow, Monday, Thursday), my daughter attending her friend’s Sweet 16 party (Saturday), family arriving in town (Sunday and Monday), soccer practice (Monday and Tuesday), a family lunch outing with all the visiting relatives (Tuesday), a possible play-in game for state championships (Tuesday), my older daughter’s Confirmation (Wednesday), the soccer state championships (Friday and Saturday), and a recital (Saturday). My top success this week (again) is that I’m not twitching in a pile of goo, playing hours of King versus Everyone on the iPad, ignoring school, laundry, and life in general. Along the same lines, I was happy to have finished my Gospel Reflections for the year last night, most of which were written in the waiting room at the dance studio while my 12 year old had ballet class. I also finished reading for my Dominican meeting (missing that next Saturday for the recital), and all I have left is to write a paragraph about it. We have also managed to get schoolwork done this week in nearly every subject for both girls. So not only am I not a twitching pile of goo, but I have also been somewhat productive. I really don’t have anything else, unless you want to count getting laundry done, dried, and folded (with the exception of a single load I have to dry this morning). It’s been crazy. 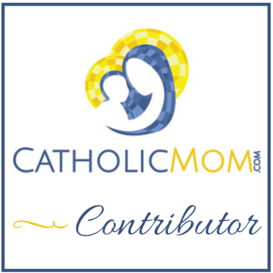 How do you moms of 5, 6, 7 kids do it all? I love reading about other moms’ busy lives like yours, and it’s refreshing to read honesty about battling the poo/goo in your life. I can totally relate to that, and I admit I have to balance my time spent on social media and doing my writing with my primary vocation, as well! Commiserating with you over the no-car situation. You’ve got a busy time coming up–that will be me in 2 weeks. From one hobbit to another, you’ve got my prayers to get through those crazy days. Memorare UP! Holy Cow what a busy week! I’m impressed that you were able to accomplish much of anything. I’m not sure that I could say the same! We’ll be sure to send some extra prayers your way as you plug away on your busy week. Thanks for the extra prayers. I think school is going to consist of finishing off a test or two, reading now, reviewing later. If we can make it through the next 8 days, we’ll be okay.